2010 Govecs SR 1.2. Picture credits - Govecs. Submit more pictures. The SR Series is a high-quality scooter in the �50cc� compatible class which offers great manoeuvrability, a high range and amazing performance. For the first step we offer a silicon battery version at a bargain price. Comments: Silicon battery. Capacity 22 Ah (2.4 kWh). Weight battery 56 kg. Nominal Voltage 96 Volt. Charger 640 W, onboard charger, 110-240 V (50/60 Hz). Charging time 4-5 h. Approx. 2 hrs to 85% charging. Charging cycles (estimated life) 300-500. Ask questions Join the 10 Govecs SR 1.2 discussion group or the general Govecs discussion group. Bikez.biz has an efficient motorcycle classifieds. Ads are free. Click here to sell a used 2010 Govecs SR 1.2 or advertise any other MC for sale. 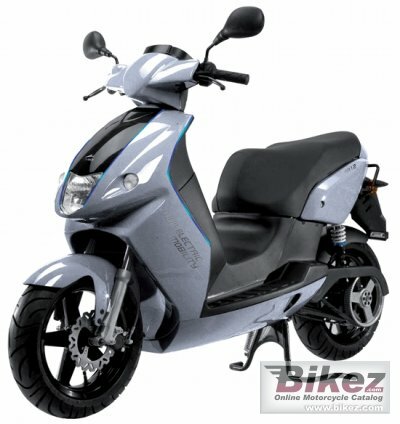 You can list all 2010 Govecs SR 1.2 available and also sign up for e-mail notification when such mopeds are advertised in the future. Bikez has a high number of users looking for used bikes. Before you buy this bike, you should view the list of related motorbikes Compare technical specs. Look at photos. And check out the rating of the moped's engine performance, repair costs, etc.